Fireplaces have the ability to draw in people around them and create a cozy and inviting atmosphere. They provide not only warmth, but a central location within a home to gather around and unwind. What’s better than sipping a glass of wine or a cup of tea in front of an inviting fireplace after toiling out in the cold all day? Over the years they’ve evolved from places used to prepare family meals to modern pieces that are both functional and artistic. 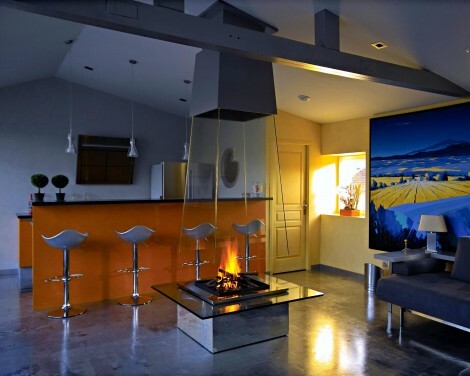 As the use of fireplaces has evolved, so have the methods used to highlight and draw attention to them. They’ve become statement pieces that accessorize living rooms, dens, etc. and become central within homes. Because of this, creative ways of drawing attention to them have the potential to refresh how they’re viewed and become more of a decorative feature than purely a source of heat. Create symmetry and frame with furniture, hang a large mirror for added glam, incorporate into built-in furniture, multi-faced glass centerpiece with a twist, consider rustic with a modern twist, or imagine a new take on wall art… A custom fireplace is the solution! 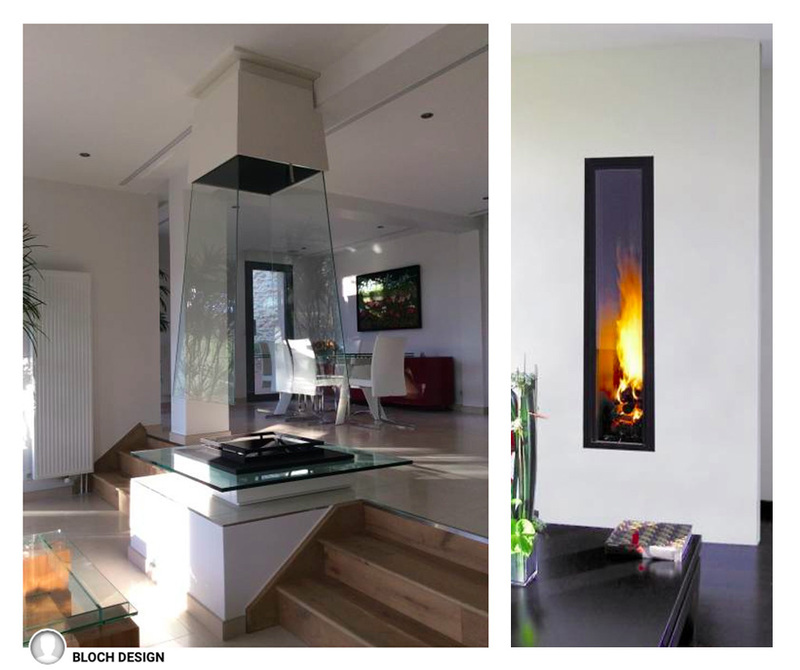 Fireplaces with multiple sides are becoming increasingly more trendy. Gone are the days when a fireplace’s home was pressed up against a wall. This multi-faced fireplace takes this concept to a new level by incorporating mostly glass and sitting in the middle of the space. The steps on either side ensure that guests can enjoy the fireplace from all angles no matter where they’re situated in the room. Again, the white walls don’t take away from the fireplace but instead provide a clean open area that allows for maximum light, exposure and enjoyment. This option is on the adventurous side but provides an exciting statement piece.